He’s a chameleon, a survivor and a hustler. He’s the fox AND the hound. For That’s All I Need, Andre went back home to Detroit to cut a record of psychedelic soul and growling 4am slow jams with a solid rock and roll backbone. It’s a stone cold look back to a time when that city was messing around where the waters of rock and funk met, acid trips and Stroh’s benders going hand in hand. That’s All I Need IS all you need to get the mood set to Good Times wherever ladies and smooth gents might want to mingle. From the hypnotic groove of “Tricks” and lazy psychedelic soul of “My Time Will Come” and “Too Light To Fight,” to the rock-soul amalgam freakouts (with that out-there Coffey guitar) of “Just Call Me” and “America,” Andre and the boys channel the spirit of early Revilot Records-era P-Funk and will get the room high, tight and mellow. Even after 50 years in the racket, Andre’s charisma is still in full force. On the bring-the-lights-down-low closer “Amends,” leaving him may be the best thing for you, but you know you ain’t going go, not with that deep, c’mon darlin, stay for just one more voice. Even when Andre tells it like it is, like only he can, on “Ain’t No Such Thing As Good Dope,” he infuses the song with an energy, an Andre-ance and a killer beat that’ll have you clapping along. And no can spin a lyric like Andre. On the title track, take “A banana colored woman / an orange Cadillac / a pea green suit / and pocketful of $100 bills” and baby, you got yourself some romancing, Andre style. There are numerous touchstones in its mostly stoned-sounding, lazy-tempo R&B, of course — running from pure Chicago blues to grooves that wouldn't have sounded out of place on an early P-Funk disc. That's All I Need opens up all kinds of new avenues of expression for Williams. The guy has done as much living as any five or six people randomly combined, and it shows. A genuine R&B pioneer sounds incredibly fresh and contemporary. This one will surely sound fine blaring from a car stereo, the windows rolled down, on a hot summer day. Williams was rapping in his laid-back hipster style long before there was rap - he was the consummate ultra-cool sharp-dressed slick and sleazy soulman... his latest may be some of his best work ever. 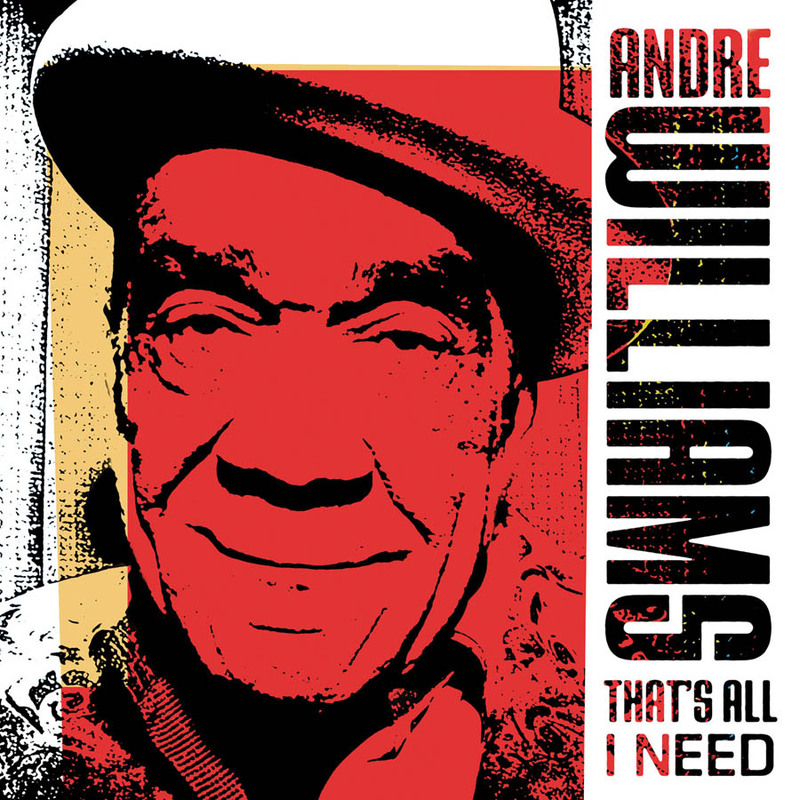 That's All I Need is a cool blend of psych, soul, funk, and rock, proving that Williams may be getting older, but he's not mellowing with age.